A strong industry is fundamental to a robust economy, which is the basis for creating a cohesive society that enables us to deal with current and future challenges and grasp opportunities that arise. We are living through times of great change, at unparalleled speed, and of disruptive nature in some of its dimensions. Technological progress and innovation are producing a deep transformation in industry and the way it operates, in a cross-sectoral phenomena. This requires industry to adapt quickly and anticipate future trends. The progress that industry is forging ahead also brings profound changes to our society. Smilingly simple innovations improve our lives daily, such as real-time information on traffic or public transports, while others will result in vital steps forward such as the use of biometric data for better prevention and more accurate identification of illnesses. 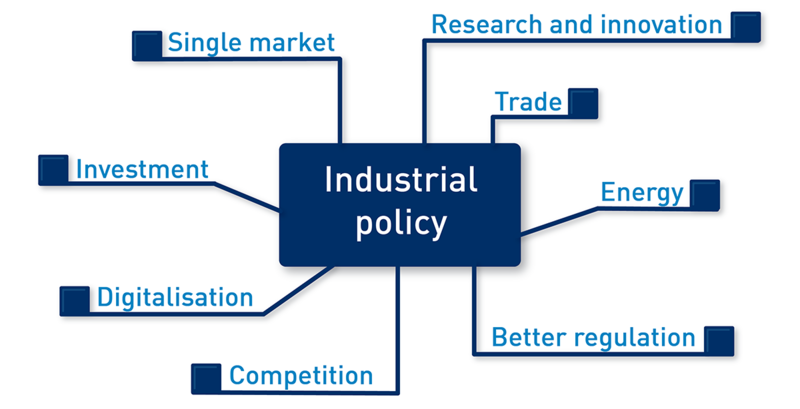 A European industrial strategy must reflect the ongoing transformations, be mindful of the several challenges at hand for society and industry, and of Europe's persistent competitiveness shortfall during the last years. These issues are of fundamental importance in the debate on the future of Europe, and should be an integral part of it, if we want to ensure that the EU can better deliver growth and jobs to its citizens and companies.